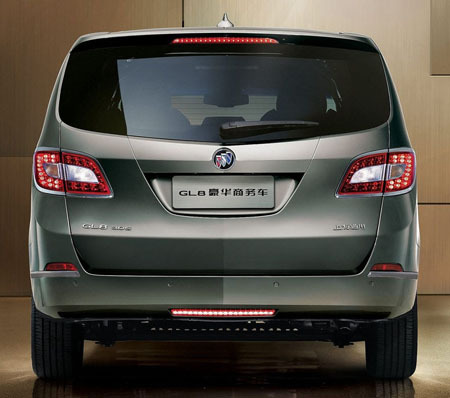 After over 330,000 units sold in China, General Motors has unveiled the successor to the successful Buick GL8 MPV. Based on the Buick Business Concept shown at the 2009 Shanghai Motor Show, the new GL8 was developed by Shanghai GM in cooperation with the Pan Asia Technical Automotive Center (PATAC, located just outside of Shanghai) with Chinese users in mind. Improved from the aging original in every aspect, the new GL8 offers an “unprecedented luxury MPV experience that is unmistakably Buick”. If you’re wondering why Buick, stepping foot in any big Chinese city will answer your question. New money Chinese consumers have their automotive tastes skewed more towards America, which means that luxury and size goes hand in hand. So does chrome and Buick! With length and width of 5,256 mm and 1,878 mm, the GL8 has a bigger footprint than a Toyota Alphard. The long 3,088 mm wheelbase is also 138 mm longer than the Japanese MPV, promising a large interior with three rows of seven seats. The 360-degree wraparound cabin inspired by luxury yachts combines Eastern and Western aesthetics and features ice-blue atmosphere lighting. 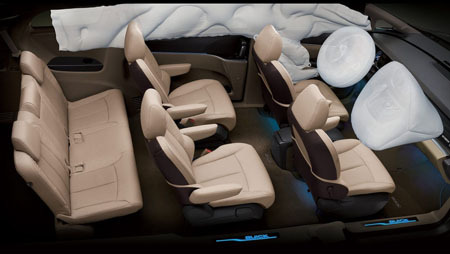 A two-piece sunroof, electric anti-pinch sliding doors, powered hatch, 10-speaker, 5.1-channel Bose stereo, 7-inch touch screen up front and 10.2-inch WVGA HD display at the back, OnStar and bi-xenons are the other luxuries that businessmen will love. The GL8 is powered by a 255 hp 3.0L SIDI direct injection V6 or a 2.4L Ecotec. The GL8 is priced from RMB 288,000 and RMB 388,000 (RM136k-RM183k) in China. The current car will continue to be sold, now powered by a 2.4L Ecotec/6-speed auto and positioned below the new model. Big gallery after the jump. Next Post: The Nurburgring – a brief history of the legendary tarmac!